©2007 John Hultgren, Louisville, Kentucky Photo may not be reproduced, copied, archived, or retransmitted without permission. 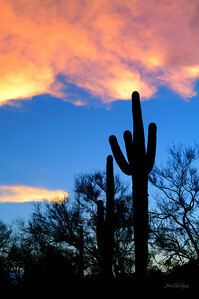 Signal Hill, Saguaro National Park, Pima County, AZ. 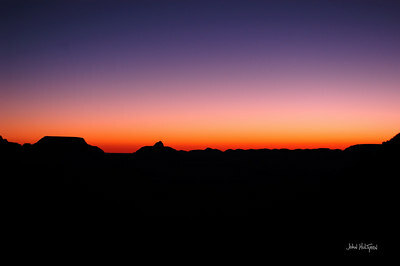 N32° 17.507' W111° 12.483'. Nikon D2X, ISO 100, 28 mm focal length, 1/10 sec, f/10, 08/01/2007 19:28 MST (2007-08-01 12:28 UTC). ©2007 John Hultgren, Louisville, Kentucky Photo may not be reproduced, copied, archived, or retransmitted without permission. 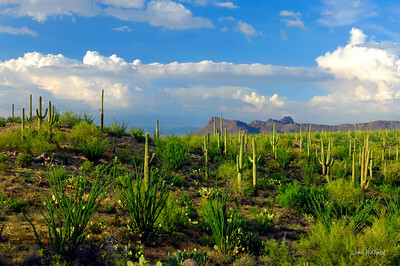 Signal Hill, Saguaro National Park, Pima County, AZ. N32° 17.475' W111°12.499'. Nikon D2X, ISO 100, 28 mm focal length, 1/25 sec, f/10, 08/01/2007 18:07 MST (2007-08-01 11:07 UTC). ©2007 John Hultgren, Louisville, Kentucky Photo may not be reproduced, copied, archived, or retransmitted without permission. 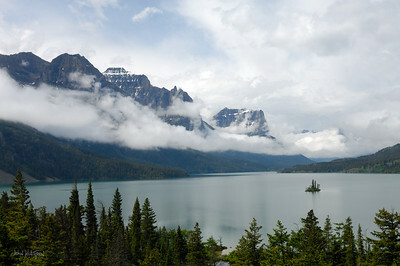 Sun Point on Saint Mary Lake, Glacier County, Glacier National Park, MT N 48° 40.510' W 113° 34.677' Glacier National Park was named for the glaciers that carved, sculpted, and formed this spectacular landscape millions of years ago. 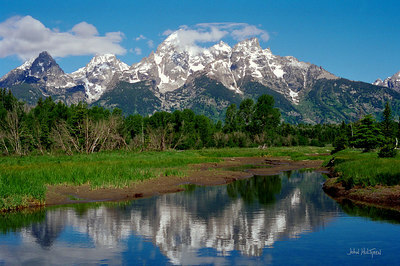 From left: Citadel Mountain (9,034 feet), Gunsight Mountain (9,250 feet), Fusillade Mountain (8.757 feet), Reynolds Mountain (9157 feet), Heavy Runner Mountain (8,000 feet), Going to the Sun Mountain (9,594 feet), and Matahpi Peak Mountain (9,100 feet). Nikon D2X, ISO 100, 28 mm focal length, 1/100 sec, f/8 06/16/2007 13:30 MDT (2006-06-16 19:30 UTC). Our framed limited edition prints include a Nielsen Anodized Profile 25 014 German Silver metal frame. The outer mat is Crescent Select Scrubs 9624 (for 30x40 prints requiring an oversized mat we substitute Alphamat Artcare Baltic Green 8551); the inner mat is Crescent Select Blue Monday 9542. (Colors may not be accurately depicted on your computer monitor.) Prints are backed by a 3/16" acid free foamcore. 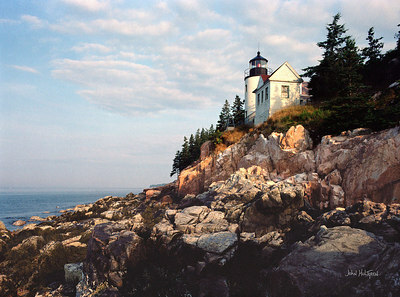 Framed prints sold at art shows include museum quality UV filtering Cyro Acrylite OP-3. 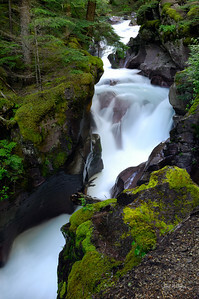 Of course, you can order just the print and select your own frame and mat from your favorite local fine art frame supplier.W113° 34.677' Nikon D2X, ISO 100, 28 mm focal length, 1/100 sec, f/8, 06/16/2007 13:30 MDT (2007-06-16 19:30 UTC). ©2007 John Hultgren, Louisville, Kentucky Photo may not be reproduced, copied, archived, or retransmitted without permission. Wild Goose Island on Saint Mary Lake, along Going to the Sun Hwy, Glacier County, Glacier National Park, MT N 48° 41.509' W 113° 31.871' Nikon D2X, ISO 100, 28 mm focal length, 1/90 sec, f/8 06/16/2007 11:42 MDT (2006-06-16 17:42 UTC). ©2007 John Hultgren, Louisville, Kentucky Photo may not be reproduced, copied, archived, or retransmitted without permission. 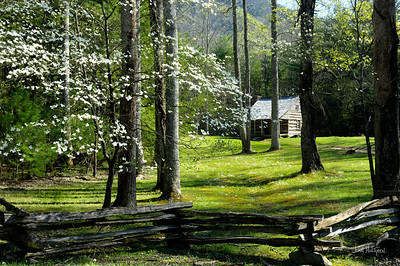 Carter Shields Cabin, Cades Cove, Great Smoky Mountains National Park, near Townsend, TN N35° 35.410' W83° 47.911' Nikon D2X, 100 ISO, 28 mm focal length, 1/25 sec, f/8, 04/05/2007 16:21 EDT (2007/04/05 20:21 UTC). ©2006 John Hultgren, Louisville, Kentucky Photo may not be reproduced, copied, archived, or retransmitted without permission. Clingman's Dome, Great Smoky Mountains National Park, North Carolina. 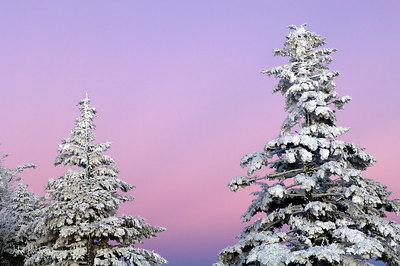 N 35° 33.390' W 83° 29.750' Rime frost collects on trees at sunset at Clingman's Dome, the second highest point east of the Mississippi River at 6,643 feet. 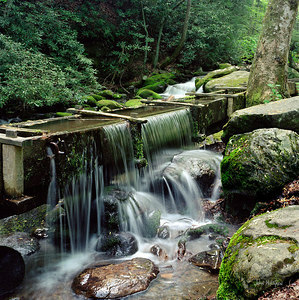 The Great Smoky Mountains National Park is one of the largest protected areas in the Eastern United States and is world renowned for the diversity of its plants and animal life, the beauty of its ancient mountains, the quality of its remnants of Southern Appalachian Mountain culture, and the depth and integrity of its wilderness sanctuary. Nikon D2X, 100 ASA, 60 mm focal length, 1/30 sec, f/7.1 10/24/2006 18:56 EDT. ©2006 John Hultgren, Louisville, Kentucky Photo may not be reproduced, copied, archived, or retransmitted without permission. 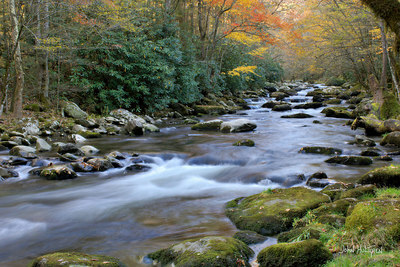 Middle Prong of the Little River, Great Smoky Mountains National Park, near Townsend, Tennessee. 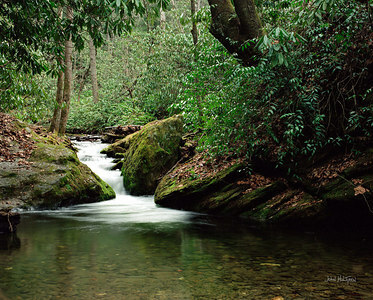 N 35° 37.658' W 83° 41.120' The middle prong of the Little River flows through the Great Smoky Mountains National Park near Townsend, Tennessee. Straddling the border between North Carolina and Tennessee, the Great Smoky Mountains National Park is one of the largest protected areas in the Eastern United States and is world renowned for the diversity of its plants and animal life, the beauty of its ancient mountains, the quality of its remnants of Southern Appalachian Mountain culture, and the depth and integrity of its wilderness sanctuary. Nikon D2X, 100 ASA, 28 mm focal length, 1 sec, f/22 10/24/2006 16:13 EDT. ©2005 John Hultgren, Louisville, Kentucky Photo may not be reproduced, copied, archived, or retransmitted without permission. Mather Point, South Rim of the Grand Canyon, Arizona N 36° 03.697' W 112° 06.460' Nikon D100, 200 ASA, 42 mm focal length, 1/125 sec, f/2.8 10/14/2005 06:10 MDT. ©2005 John Hultgren, Louisville, Kentucky Photo may not be reproduced, copied, archived, or retransmitted without permission. Looking west from Clingman's Dome Observation Tower, Smoky Mountains National Park, Tennessee and North Carolina state line. 6643 feet (highest point in the eastern U.S.). N 35° 33.800' W 83° 29.908' Nikon D100, 200 ASA, 125 mm focal length, 1/100 sec, f/4.5 05/12/2005 20:32 EDT. ©2005 John Hultgren, Louisville, Kentucky Photo may not be reproduced, copied, archived, or retransmitted without permission. National Mall. 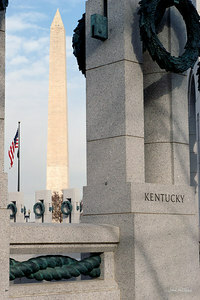 Washington DC N 38° 53.349' W 77° 02.451' The Kentucky pillar at the National World War II Memorial in Washington, D.C. The memorial, dedicated May 29, 2004, is located on the National Mall in Washington, D.C., and commemorates the sacrifice and celebrates the victory of the World War II generation. Nikon D100, 200 ASA, 52 mm focal length, 1/100 sec, f/8 03/17/2005 15:53 EST. 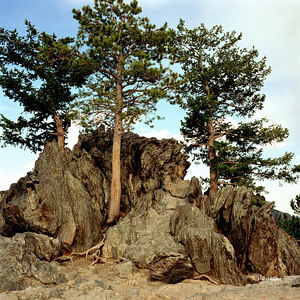 This photograph is displayed in numerous U.S. Congressional offices.